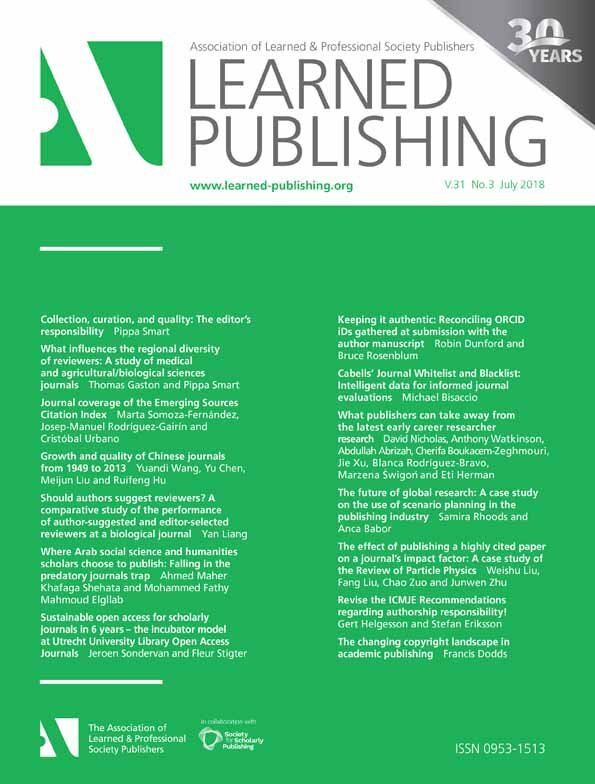 An article in ALPSP journal Learned Publishing, released earlier this year, looks at the opinions of Early Career Researchers (ECRs) towards publishing. The paper is based on a series of interviews conducted by the CIBER research group, and provides analysis of changing attitudes. ECRs are the key researchers of the future, millennials born between 1982 and 2004 and grown up in a digital environment. ECRs often think differently from their seniors and appear to have a mission based on openness, sharing, and transparency. This article aims to investigate how the ECRs are doing with regard to matters near to publishers. They know – and appear to care – little about publishers but trust them as publishing and reviewing facilitators.